What does the 11-34 weigh? Thank you for your enquiry, this cassette weighs 344grams. I hope this helps. 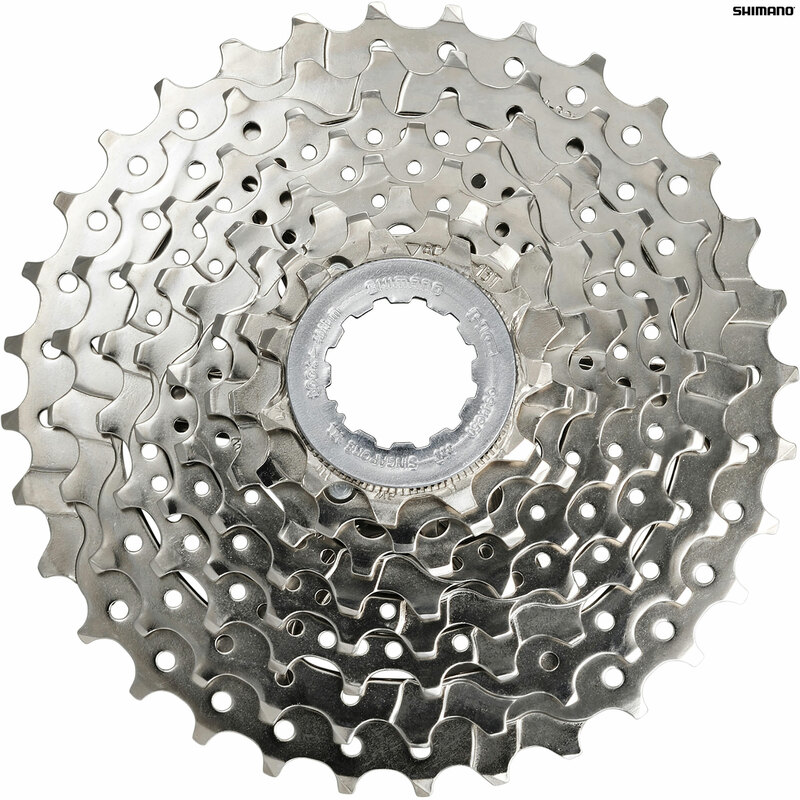 I am thinking of changing my current 11-34 cassette to a 11-34 one. Which derailuers would be best suited for this increase in capacity? I currently use a 50/38 on the front with ultra bar end shifters. While staying with the same cassette 13-34. The capacity won't change, hence the same rear mech will do the job. Could you please list all the sprockets on this cassette? Replacing a worn out CS HG30-8 with an 11-32T range and a Shimano Acera deralieur. Will this (or the 11-32 version) work as a replacement? Yes this would work, you will need to ensure your derailleur has enough range to cope with the 34t larger sprocket.